Recent advances in the development of transgenic plants have revolutionized our concepts of sustainable food production, cost-effective alternative energy strategies, microbial biofertilizers and biopesticides, and disease diagnostics through plant biotechnology. As a result, a number of transgenic plants have been developed with improved traits. With the advancement of plant biotechnology, many of the customary approaches are out of date. 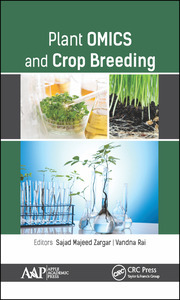 This new two-volume set, Plant Biotechnology, provides a plethora of current knowledge on new as well as fresh approaches that are necessary to address biological problems in plant food production. 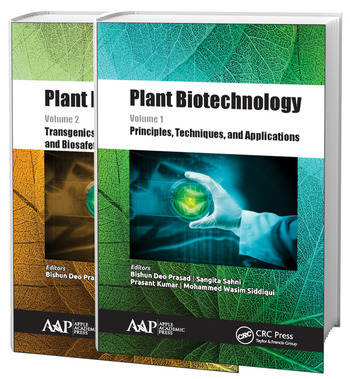 The volumes provide an informative tour of plant biotechnology, covering the basics of biotechnology to recent advances, taking a thorough look at applications as well. 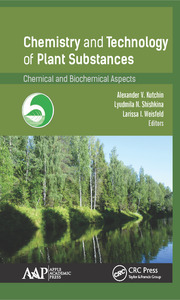 The editors have brought together a respected group of contributors who address the most recent techniques and their applications in plant biotechnology. Volume 1 covers the principles, techniques, and applications while Volume 2 delves into transgenics, stress management, and biosafety issues. 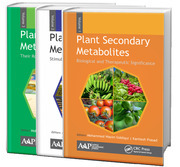 This two-volume set will be a valuable resource for research and university libraries as well as for the many students engaged in plant biotechnology studies as well as faculty and researchers. Bishun Deo Prasad, PhD, is an Assistant Professor and Scientist in the Department of Molecular Biology and Genetic Engineering at Bihar Agricultural University in Sabour, India. He has published 12 research papers in reputed peer-reviewed international journals which have been cited more than 100 times. He has also contributed to one authored book, has written several book chapters, and has submitted 10 sequences of different isolates to the National Center for Biotechnology Information (NCBI). He is reviewer of International Journal of Agriculture Sciences and the Journal of Environmental Biology. Dr. Prasad has received several prestigious awards for his work. Dr. Prasad has been associated with biotechnological aspects of rice, Brassica napus, arabidopsis, linseed, lentil, vegetable (bitter guard and pointed guard), and horticultural (mango, litchi and banana) crops. He is also associated with host pathogen interaction studies in rice, B. napus and Arabidopsis as well as mutational breeding aspect in rice for abiotic stress tolerance. Sangita Sahni, PhD, is a Junior Scientist and Assistant Professor in the Department of Plant Pathology at Tirhut College of Agriculture, Dholi, and Dr. Rajendra Prasad Central Agricultural University, Pusa, Samastipur, Bihar, India. She has published 10 research papers in reputed peer-reviewed national and international journals and has published one authored book and several book chapters. Dr. Sahni has been awarded several prestigious awards for her contributions in the field of education and plant science. She is an officer in charge of the Agricultural Research Information System (ARIS) Cell, Tirhut College of Agriculture, Dholi, and a member of different committees at Rajendra Agricultural University, Pusa, India. She has been an active member of the organizing committees of several national and international seminars. Dr. Sahni has been associated with molecular host pathogen interaction studies in Arabidopsis and B. napus. She is also associated with the pathological aspect of chickpea and MULLaRP (mungbean, urdbean, lentil, lathyrus, rajmash, and pea). She is actively involved in teaching graduate and postgraduate courses on plant pathology and biotechnology. In her research, she has isolated several bacterial isolates from different sources and submitted their sequences to the National Centre for Biotechnology Information (NCBI). Prasant Kumar, PhD, is an Assistant Professor in the C. G. Bhakta Institute of Biotechnology, Department of Fundamental and Applied Science at Uka Tarsadia University, Surat, Gujarat, India. He is the author or co-author of 10 peer-reviewed journal articles and eight conference papers and newsletters. He is a reviewer and an editorial board member of several peer-reviewed journals. He has been an active member of the organizing committees of several national and international seminars and conferences. He previously was an Assistant Professor at Sarder Patel University, Anand, Gujarat, India. Mohammed Wasim Siddiqui, PhD, is an Assistant Professor and Scientist in the Department of Food Science and Post-Harvest Technology, Bihar Agricultural University, Sabour, India, and author or co-author of 31 peer-reviewed research articles, 26 book chapters, two manuals, and 18 conference papers. He has 11 edited books and one authored book to his credit, published by Elsevier, CRC Press, Springer, and Apple Academic Press. Dr. Siddiqui has established the international peer-reviewed Journal of Postharvest Technology. He is Editor-in-Chief of two book series (Postharvest Biology and Technology and Innovations in Horticultural Science), published by Apple Academic Press. Dr. Siddiqui is also a Senior Acquisitions Editor in Apple Academic Press, New Jersey, USA, for Horticultural Science. He has been serving as an editorial board member and active reviewer of several international journals. Dr. Siddiqui has received several grants and respected awards for his research work by a number of organizations. He is an active member of the organizing committees of several national and international seminars, conferences, and summits. He is one of key members in establishing the World Food Preservation Center (WFPC), LLC, USA, and is currently an active associate and supporter.